The AIPP has been set up to guide and regulate the international property market and help consumers confidence when purchasing a second home. All members have signed up to a strict code of conduct,this has been established to help, and protect the buyer.The work of the AIPP continues to help improve consumer confidence in the Overseas Property Market, by ensuring that all members follow professional guidelines. AIPP membership is a voluntary committment and is continually assessed and policed. To request a copy of the AIPP Consumer Guide, please contact us direct. 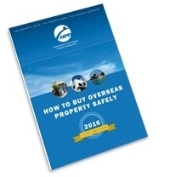 To download a copy of our free Guide ‘How to buy overseas property safely’, please click on the image below. Buyer 15-07-15 from AIPP on Vimeo.